Welcome to the webpage of SusChem Greece, the Greek National Technological Platform for Sustainable Chemistry. SusChem Greece was admitted by the European Platform on 15th June 2016, having been founded by nine Founding Members, including the NTUA, which runs the SusChem Greece Secretariat and this website. Watch this space for news on the Platform itself and news related to sustainable chemistry, including brokerage events, calls for research projects and national events. 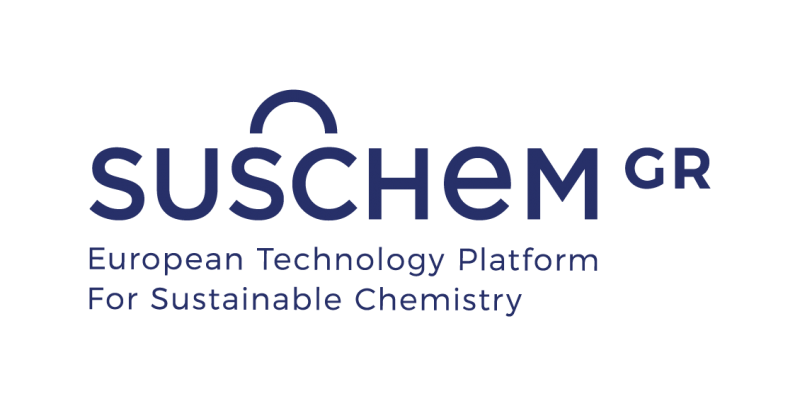 SusChem is the European Technology Platform for Sustainable Chemistry. It is a forum that brings together industry, academia, governmental policy groups and the wider society. SusChem’s mission is to initiate and inspire European chemical and biochemical innovation to respond effectively to society’s challenges by providing sustainable solutions. SusChem’s priority areas, led by industries, include Resource and Energy Efficiency, Water, Raw Materials, Smart Cities, Enabling Technologies and Education. Bring together the national stakeholders and strong industrial participation by being a representative sample of the country. Develop a national strategy for Sustainable Chemistry and bring this forward at the European level as an input to contribute to the development of the European SusChem strategy. Be the link to the National Contact Points and/or Programme Committee Representatives on behalf of SusChem for those topics relevant for the Platforms. To define national Research and Innovation priorities alongside the relevant priorities selected by SusChem ETP. Upon the selection of a common ground within the priorities, some other topics may be included by SusChem Greece based on national / stakeholders’ interests. Provide information and advice to its members, particularly on funding; encourage cooperative projects and consortia (brokerage events, dissemination activities). Actively support and encourage SMEs to participate in EU projects. Propose a logotype in accordance with SusChem rules. Create and run a dedicated NTP website. The Association of Greek Chemists (AGC), representing professionals in chemistry. The Institute of Consumers (INKA), representing consumers’ rights at large. The Hellenic Coatings Association, representing Coating Manufacturers in Greece. Other SusChem National Technological Platforms can be found here.